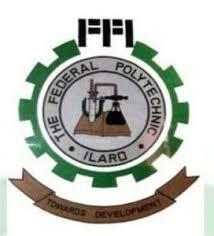 Federal Polytechnic, Ilaro [ILARO POLY] First [1st] Semester Results Checking Portal and Guidelines for all Students for 2018/2019 Academic Session. This is to inform all students of the Federal Polytechnic, Ilaro that the first semester results for the 2018/2019 academic session has been successfully released and uploaded online. All students are expected to login to their accounts to generate invoices, print receipt and perform all portal functions. Please use your matric number as the user name and 1234567 as the default password. Remember to change your password once you login to avoid compromise of your profile.